… Now I’m Ready For TV!! 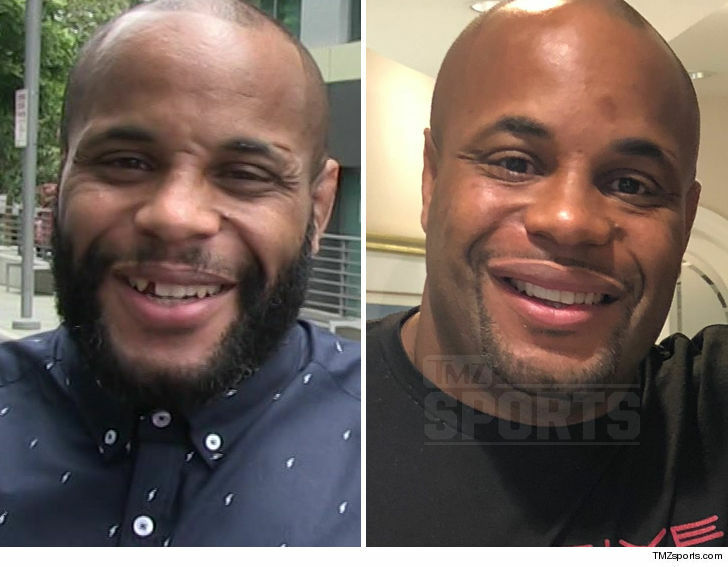 Daniel Cormier‘s getting his smile ready for life outside the Octagon … ’cause the UFC champ got his infamous tooth gap fixed in a recent procedure … and TMZ Sports has the footage!! ICYMI — D.C. had a tooth pulled back in 2014 after the Dan Henderson fight at UFC 173 … and never bothered to fix the look (makes sense, considering the dude gets punched in the face for a living). But now that D.C. is inching closer to his retirement fight next March, he hit up Dr. Kourosh Maddahi in Beverly Hills to get a head start on gettin’ his chompers back to normal. Dr. Maddahi tells us all about the bridge procedure … and says D.C. can get back to sparring within a week’s time!! Ex-NHL Star Sheldon Souray Hit w/ Lawsuit, Your Dog Bit Me!